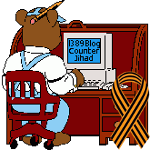 Israel — 1389 Blog - Counterjihad! Palestinian violence isn’t about the State of Israel. It’s about annihilating Judaism. Ben Shapiro: Why Jews vote leftist?